We cheated tonight. A while back we bought some asparagus and cheese stuffed chicken breasts from Sprouts. We had them frozen and defrosted them for dinner tonight. 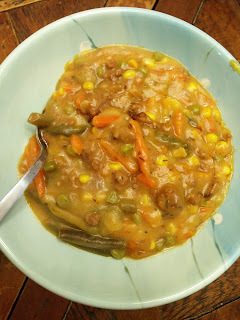 We actually meant to cook them last night, but they took forever to defrost..which is why we threw together the shepherd's pie last night and it turned out a little haphazard. Anyways, since these were previously frozen, we decided to marinate them in lemon juice and white wine (chardonnay) to make sure that they wouldn't be too dry. 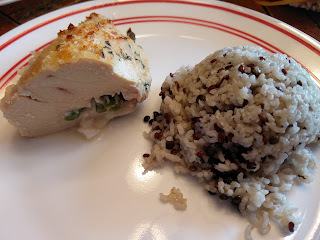 The rice was just made following directions on the box, and it's the brown rice with flax seeds and mung beans we made in the previous weeks - it seems addicting, the little flax seeds are just so yummy in the rice! Also, rice blends are just simply more exciting than regular old white rice! 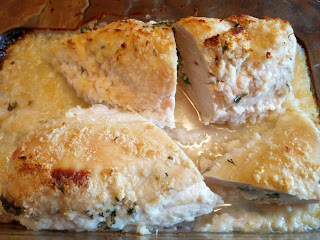 Stuffed Chicken Breasts out of the oven! 1. Cook chicken at 375 F for about 40 minutes or until done. Easy dinner :) This took us 10 minutes to just throw all together. The chicken was nice and moist. That we didn't make the chicken from scratch. We cheated. BUT we have a good excuse, we bought the chicken when Alona's leg was broken and thought we'd need to have easy dinners on hand. He was still enthralled with his mac and cheese from earlier today so had a large plate of that for dinner as well. Kaspian LOVES mac and cheese. We have tried making it from the box and in little microwaveable bowls, and it just doesn't seem that edible to real people. Even Kaspian only eats a few spoons of it usually and then stops. Yet, he keeps requesting it. 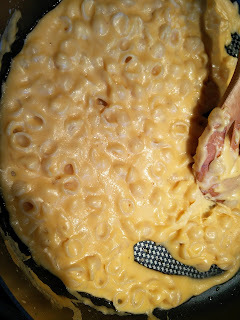 So, we're on a quest to find easy but edible mac and cheese. We made it from this recipe for lunch today: http://allrecipes.com/recipe/238691/simple-macaroni-and-cheese/ . It actually turned out quite good. It was very easy to make. We made the sauce while the pasta was cooking and that worked out really well. The whole process took about 20 minutes. Kaspian may like the mac and cheese because he helps make it. 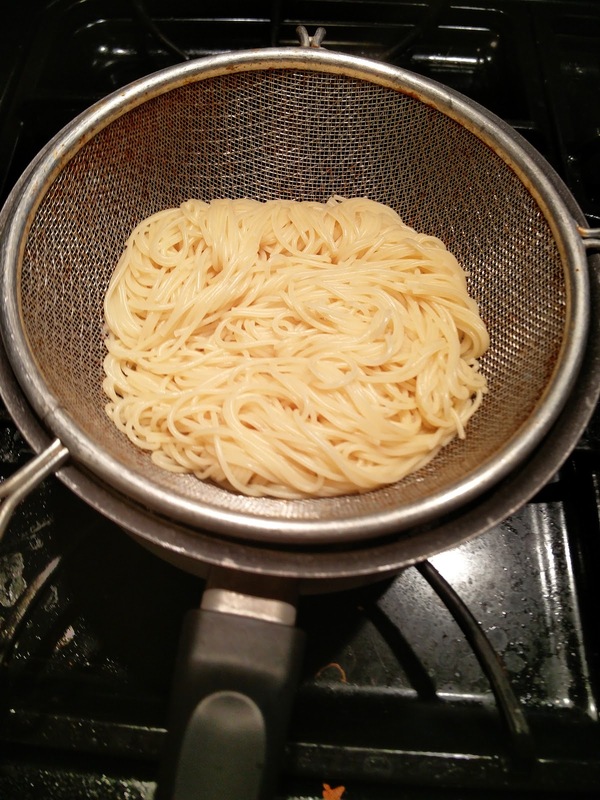 He adds the pasta to the boiling water, and then adds the cheese packet. Even for this pasta, he insisted on adding the cheese packet, but that didn't seem to affect anything but the color of the sauce :) The amount of sauce we made could have used more pasta, but it's not bad to have extra cheesy sauce! Actually good mac and cheese! 1. Bring a large pot of lightly salted water to a boil. Cook elbow macaroni in the boiling water, stirring occasionally until cooked through but firm to the bite, 8 minutes. Drain. 2. 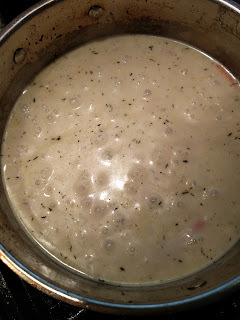 Melt butter in a saucepan over medium heat; stir in flour, salt, and pepper until smooth, about 5 minutes. Slowly pour milk into butter-flour mixture while continuously stirring until mixture is smooth and bubbling, about 5 minutes. Add Cheddar cheese to milk mixture and stir until cheese is melted, 2 to 4 minutes. 3. Fold macaroni into cheese sauce until coated. Easy, quick, and actually good mac and cheese. Kaspian pouring the fake cheese packet..but there was no stopping him! HE LOVED IT. He ate two bowls for lunch and a large helping for dinner. No changes, the recipe is great. This is an easy, simple, go to dinner recipe. When we went to Japan we loved their miso soup that we found in little cafes at every corner. The little ramen shops were about the size of our kitchen, and that included their kitchen and seating/eating area, which was more like bar seating with barstools surrounding a counter behind which the ramen was made. Anyways, we tried to re-create their ramen at home. 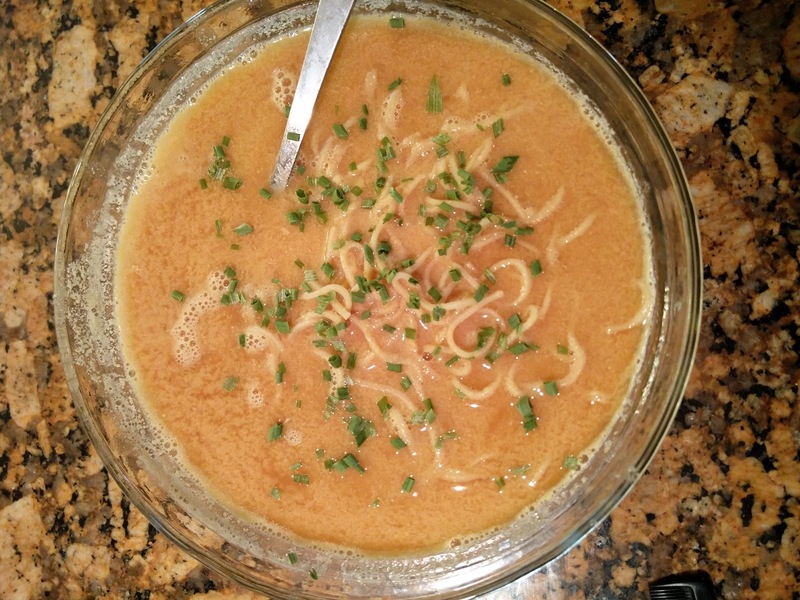 It's not as good as the Japan ramen, but it's good and quick and easy. 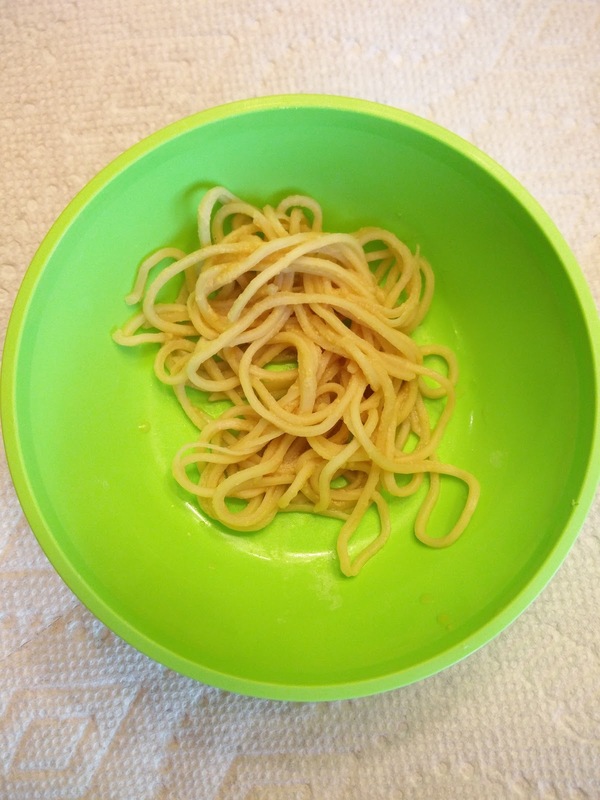 We are still looking for the perfect noodles to use. We have bought an assortment of noodles at our local international market - Talin Market - and are trying to see which noodles we like best. This recipe is very adjustable to your tastes. The amounts below are our favorites but everything can be adjusted up and down to your liking! 1) Boil water in a pan for the noodles. 2) While the water boils, heat another pan over medium high heat with the chicken stock. 3) Add the Miso paste to the stock and stir until dissolved. 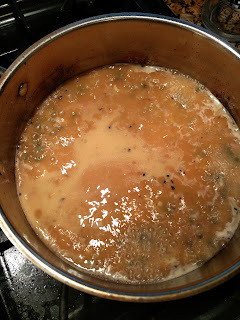 5) Let boil for a few minutes. 7) Add the Tahini into the chicken stock mixture and reduce heat to low until the noodles are done. 8) When the noodles are done, drain the water and pour the noodles into the stock/miso mixture. 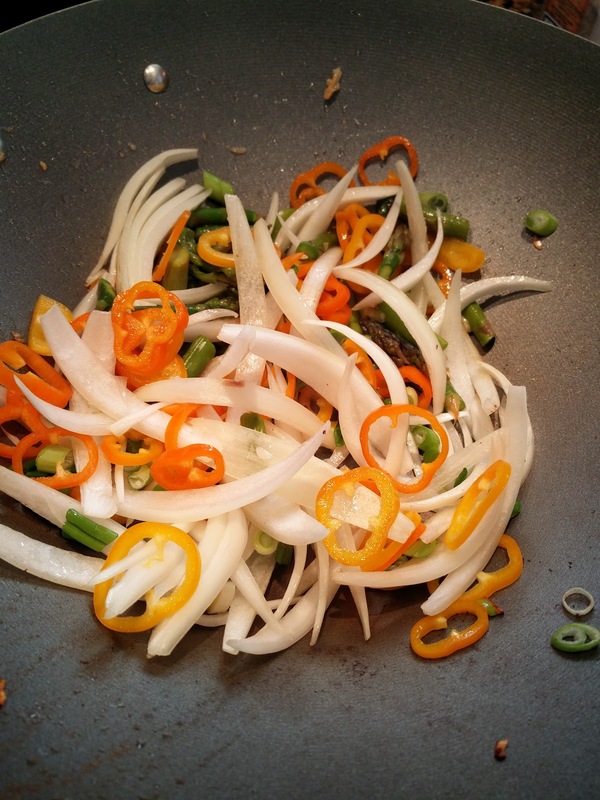 9) Top with chives and serve! He LOVED the noodles AND the soup. He even asked for seconds and third. He usually does not like soup, but miso - he loves. Try different noodles. We have "nests" and "wavy" noodles to try next. Alona loves meringues. 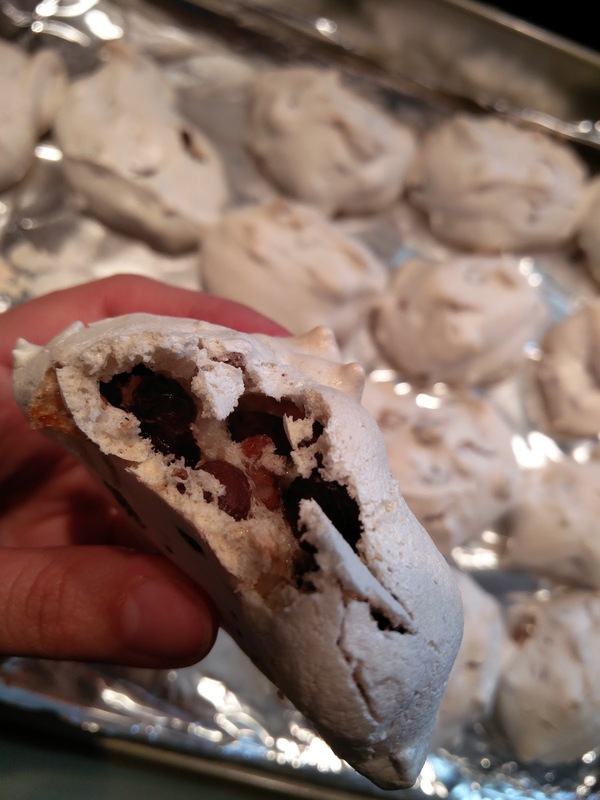 These cookies combine meringues with chocolate AND nuts AND cherries. What can be better?! Here's the original recipe: http://www.foodandwine.com/recipes/forgotten-cookies. 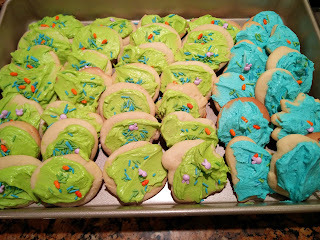 These cookies are absolutely amazing. 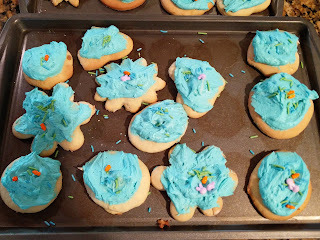 We have made them a few times and they are super easy and quick to make. (We usually have no patience to wait the 8+ hours.. they are gone before then). The cardamom really adds a unique flavor to the cookies. We do not have vanilla paste, so we just substitute vanilla extract and that seems to work. 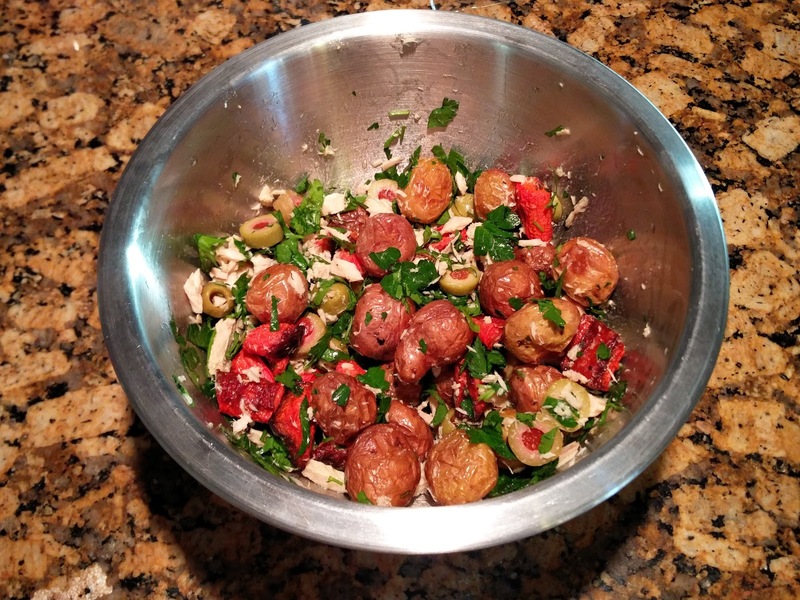 This time we made the recipe with Kirkland brand cherries and that seems to work better than the drier cherries from Sprouts. Nick didn't even notice the cherries in the cookies this time, whereas previous times he said they were too tart and actually liked the batch without cherries altogether. Also, we use eggs from our chickens, so they whip up extra good compared to the store bought ones. We haven't even had store bought eggs in over a year. This recipe seems very versatile and adjustable, where you can take out an ingredient you don't like (cherries, nuts, or chocolate). 2. In a stand mixer fitted with the whisk, beat the egg whites with the cream of tartar at medium speed until soft peaks form, 1 to 2 minutes. With the machine on, gradually add the sugar. Add the vanilla extract and cardamom and beat at high speed until stiff peaks form, about 3 minutes. 3. Using a spatula, scrape down the side and bottom of the bowl and fold in the chocolate chips, pecans and cherries. 4. 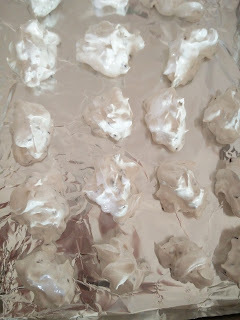 Using 2 spoons, drop 2-inch balls of the meringue mixture onto a large foil-lined baking sheet. 5. Bake for 10 minutes. 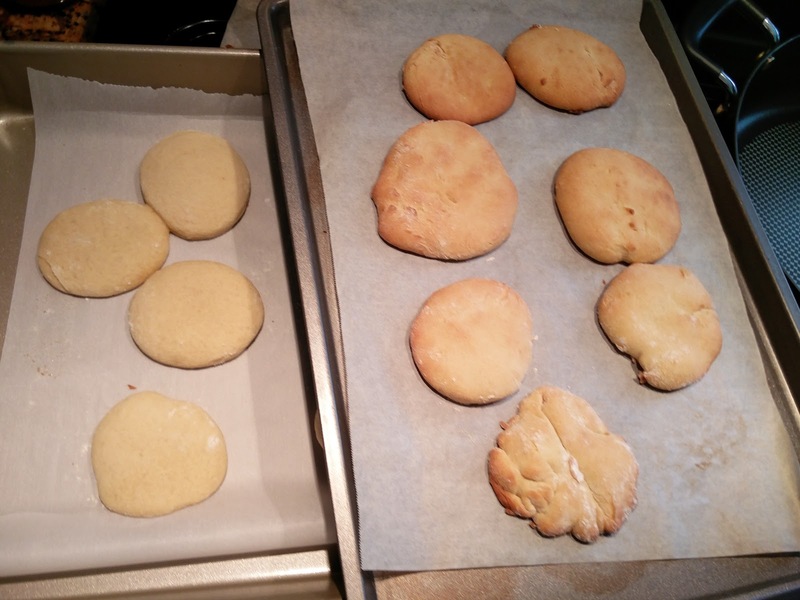 Turn the oven off and leave the cookies in for at least 8 hours or overnight before serving. The meringue cookies are delicous!!! Nothing, it was all great, but from previous experience, make sure the cherries are not too tart and dry. It's not chocolate, so he did not deem it worthy of his attention. Just kidding. There is no menu this week. This week is going to be a little strange. We are a little disorganized as we went out of town for Easter and thus did not do our usual planning and shopping this weekend for next week. :) We had Easter lunch at Inn of the Mountain Gods in Ruidoso. The buffet lunch was really amazing and delicious. Kaspian enjoyed their strawberries and cheese (apparently the best options at the buffet in the eyes of a three year old). This week we plan on just winging it and making what comes to mind each day. We will go back to planning next week! Sorry Everyone! We've never made pecan crusted tilapia before, but none of the recipes we saw were exactly what we wanted. So, we made up our own way to make it. It turned out really good, but it really needs this Golden Rum Butter Sauce (http://www.myrecipes.com/recipe/golden-rum-butter-sauce) to complete it. Without the sauce, the fish turns out a little dry. We also made two different types of asparagus to see which one is better. 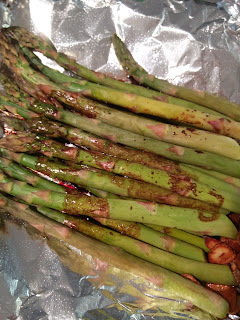 We made Asparagus with garlic and balsamic reduction (not so good). This turned out kinda blah. 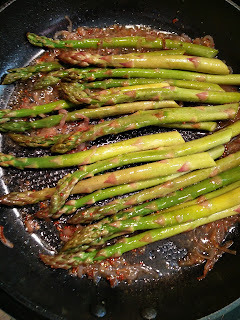 Here is the recipe: http://www.myrecipes.com/recipe/asparagus-garlic-balsamic-reduction. We will not repeat it below as it did not turn out very good. 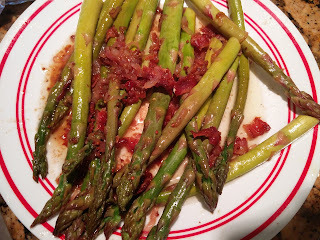 The other asparagus we made was Asparagus with bacon and shallots. 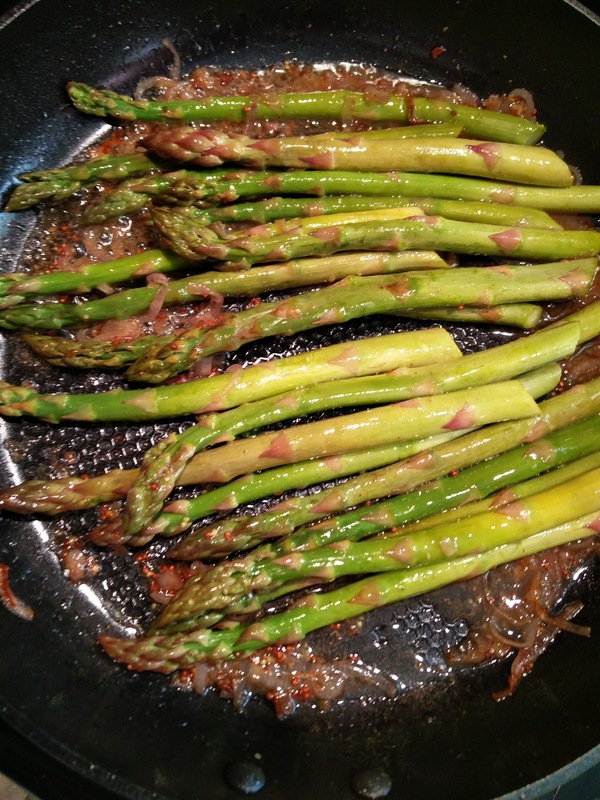 This turned out really excellent and is probably the best way to eat asparagus. Here is the original recipe: http://www.myrecipes.com/recipe/asparagus-bacon-shallots. The mustard and maple syrup went surprisingly well with the asparagus. 1. 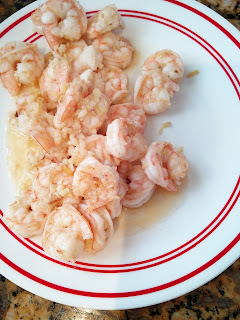 Dredge each piece of fish in cornstarch, then egg, then the pecans. 3. Cook fish until done about 6 to 7 minutes per side, depending on the cut of fish. The pecans seem to make an insulating layer, so more heat is required than non-pecan-coated pan fried fish. 2. 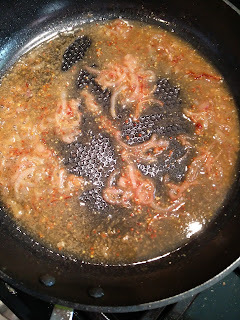 Cook bacon in a skillet over medium heat. Remove from pan; crumble. 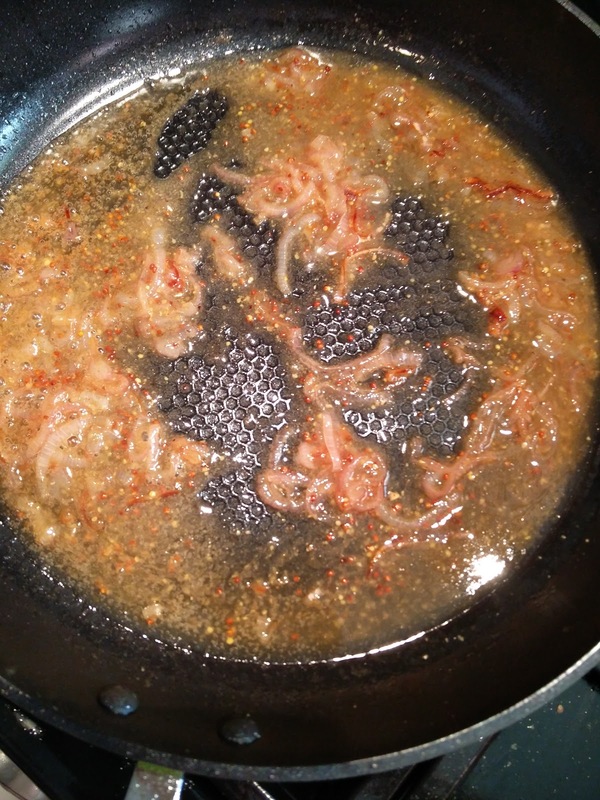 Add shallots; cook 30 seconds. 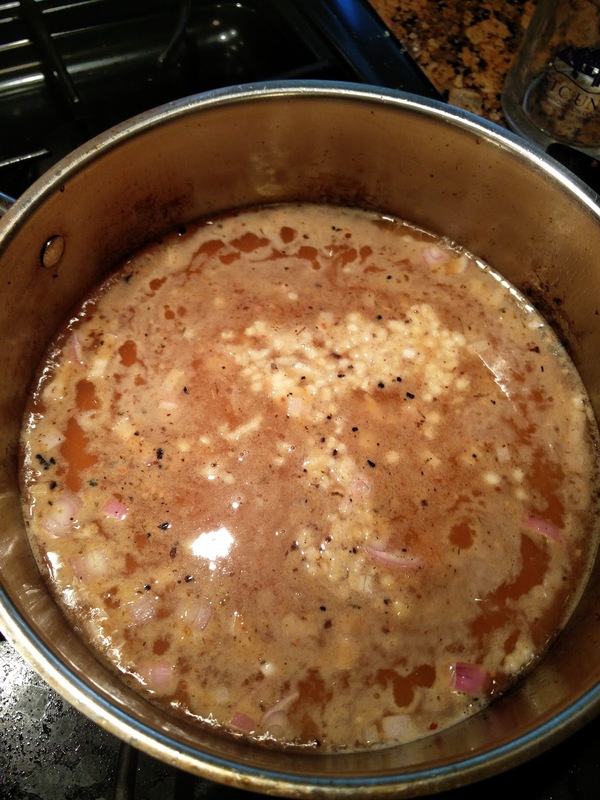 Add chicken stock, vinegar, mustard, and maple syrup; cook 1 minute. Drizzle over asparagus. Sprinkle with salt and crumbled bacon. 1. Melt 1 Tbsp. 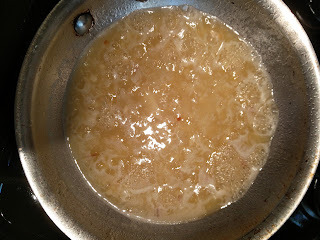 butter in a small skillet over medium-high heat; add shallot and garlic, and cook, stirring occasionally, 5 minutes or until shallot is tender. 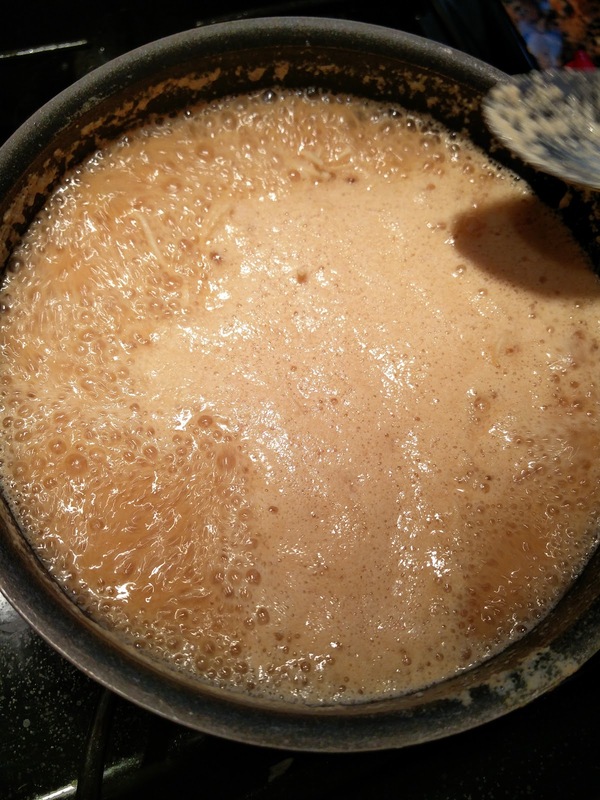 Reduce heat to low, and slowly whisk in rum, next 4 ingredients, and remaining 2 Tbsp. butter. Cook, stirring occasionally, 1 minute; serve warm. The fish turned out really good and the sauce was perfect with it. It would not have been the same without the fish. 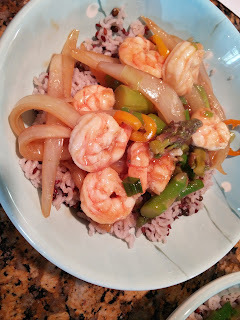 Tonight's dinner required a lot of coordination and both of us cooking at the same time. We steamed the asparagus first, then the potatoes. 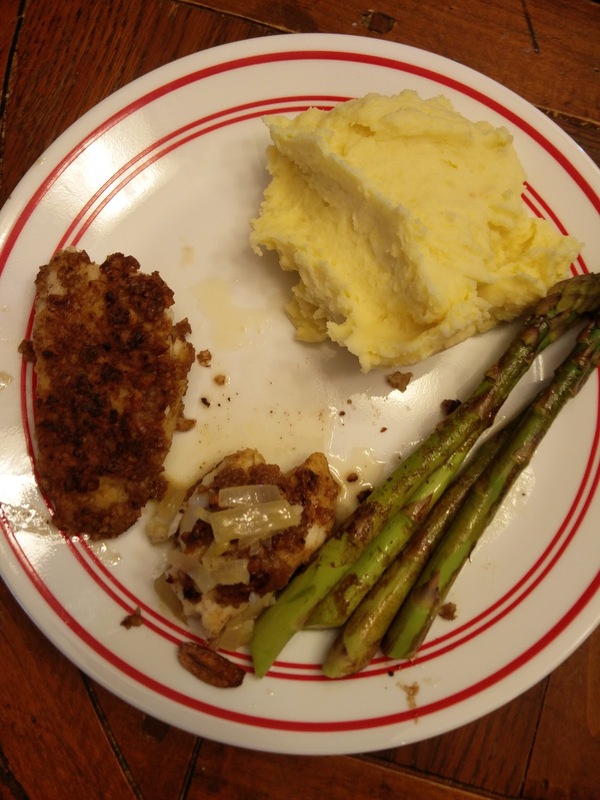 While Nick was making the fish, Alona made the sauces for the asparagus dishes, the mashed potatoes and the golden rum butter sauce. 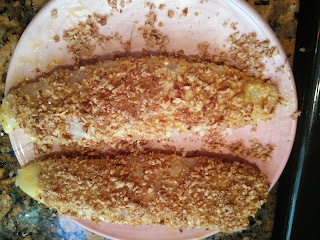 It was fun cooking together and making up the fish recipe. 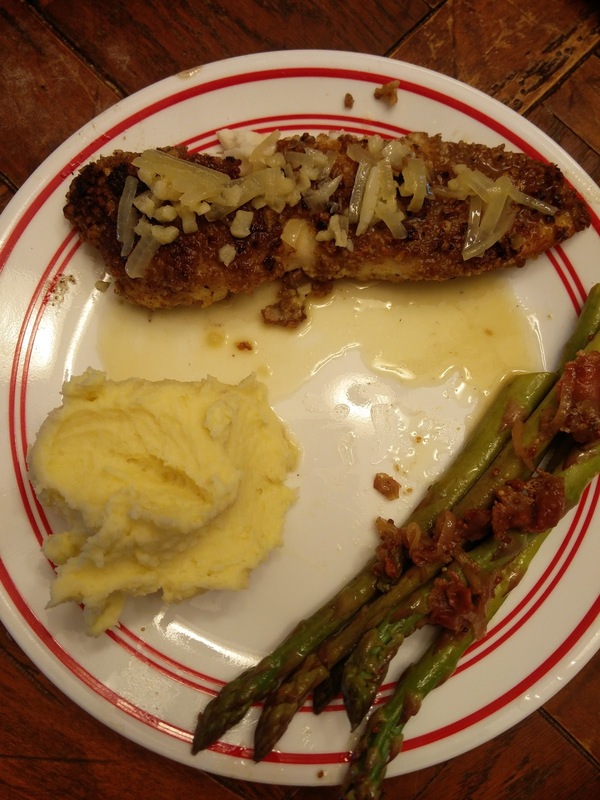 The balsamic asparagus was not very good, especially in comparison with the bacon shallot one. He wanted bacon and mashed potatoes only. No suspicious fish or asparagus for him. No modifications that we can think of at this time. This is going to be an unusual week. We had leftovers yesterday - so no fun recipes to report. 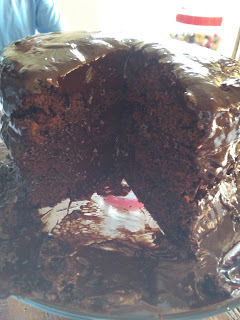 We made the most rich and chocolaty cake we have every had today. This cake is covered in ridiculous amounts of chocolate ganache! It was delicious but maybe a little too chocolaty (we didn't think that was possible). 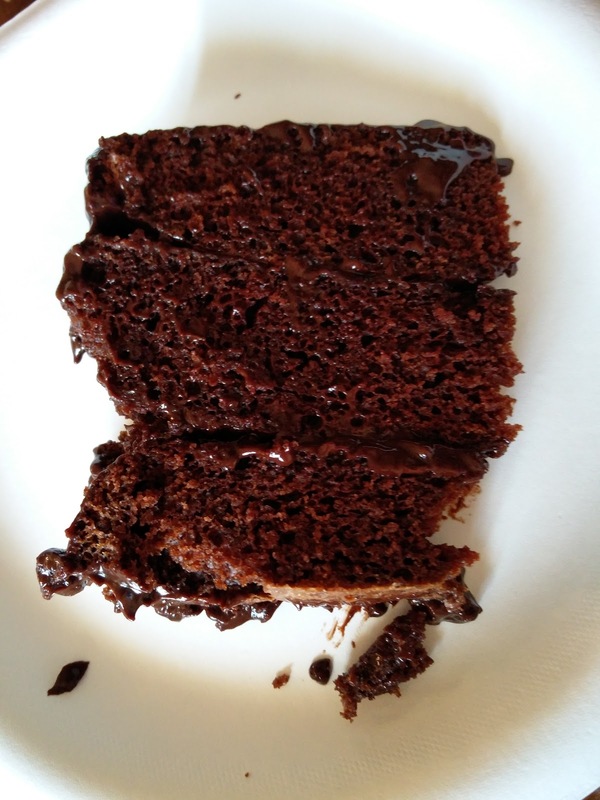 The original recipe is here: http://www.foodandwine.com/recipes/triple-layer-sour-cream-chocolate-cake. As you can see, ours did not quite turn out like their picture. We suspect this is because we used real chocolate instead of the Hershey/Tollhouse/Nestle baking chips that have an oil/wax to stabilize them. 1) Preheat the oven to 350° and position the racks in the center and lower thirds. Butter three 9-by-2-inch round cake pans and line with parchment paper. Butter the paper and dust the pans with flour, tapping out the excess. 2) In a medium bowl, combine the chocolate with the coffee and vanilla and let stand for 2 minutes, then stir until the chocolate is melted. In another medium bowl, whisk the eggs with the oil until pale yellow, then whisk in the sour cream. Gradually whisk in the melted chocolate mixture until smooth. 3) In the bowl of a stand mixer fitted with the paddle, combine the 3 cups of flour with the sugar, baking soda, cinnamon and salt and mix well. At medium speed, beat in the wet ingredients in 3 batches until just incorporated. Scrape down the bowl and beat until the batter is smooth. 4) Pour the batter evenly into the prepared cake pans. Gently tap the pans on the counter to release any air bubbles. Bake for about 35 minutes, until a toothpick inserted in the center of each cake comes out clean; shift the pans halfway through baking. Let the cakes cool completely, then carefully invert onto a rack and peel off the parchment. 1) In a medium saucepan, bring the cream, butter, sugar and salt just to a simmer over moderate heat, stirring to dissolve the sugar. Remove from the heat and add the chocolate. Let stand for 2 minutes, then stir until smooth. Stir in the coffee and vanilla. Let cool completely, stirring occasionally. 2) Transfer 1 cake to a plate. Spoon one-fourth of the ganache on top and spread in an even layer. Top with another cake and one-fourth of the ganache. Cover with the third cake and spread the remaining ganache over the top and side of the cake; decoratively swirl the ganache on top. It was oh so good! It was so rich and satisfied everyone's chocolate need! The cake was too tall! We couldn't cut it and serve in one go. We thought he would love this cake as he love all things chocolate, but we bought a jar of jelly beans for the first time in his life today and he only had eyes for the green, blue and orange jelly beans! Did you know that jelly beans can be transported in matchbox cars - this makes them extra awesome (both the cars and the jelly beans). Make it two layers instead of 3 and maybe try to use the waxy baking chocolate chips (ugh! Not sure if we can make that sacrifice). 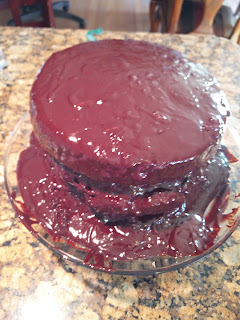 Another option might be to use a little bit less of heavy cream to see if that will thicken up the ganache. 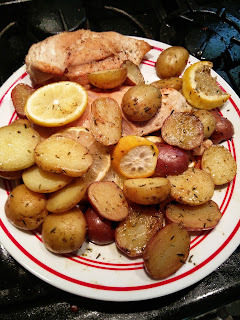 This is one of Alona's favorite dishes. We had it at a restaurant one time and it is similar to chicken piccata at some restaurants. Alona asked Nick to replicate it at home after trying it somewhere (can't remember where) and after making it a couple of dozen times, we think it's pretty close to being perfect. 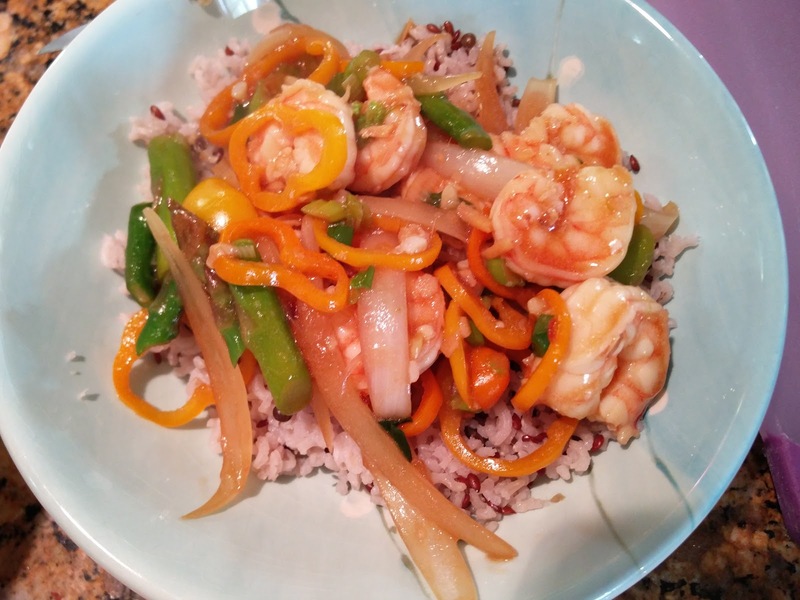 The chicken can be substituted with shrimp and it turns out possibly even better (depending on what you feel like that night!). 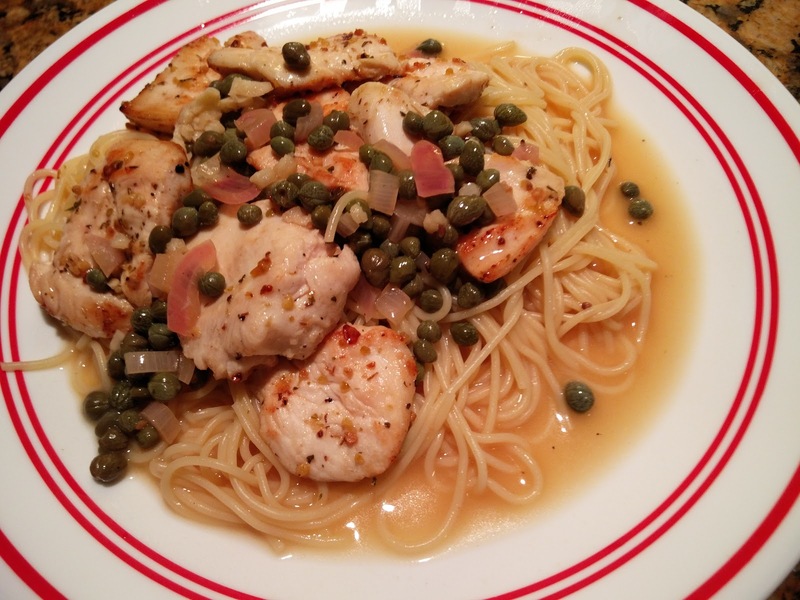 Depending on the brand of capers, you might have to adjust the amount as some brands are stronger than others. We like to buy our capers at Cafe Istanbul as they have really reasonable prices and usually always have a large jar of them. Local supermarkets normally only sell small jars (only enough for one recipe) and at much higher prices. 4. When the butter stops bubbling add the chicken strips to the pan. 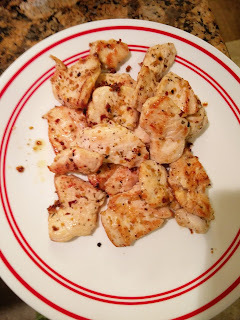 Sprinkle the garlic and herb seasoning on the chicken as it cooks. 5. Cook the chicken for 2 minutes a side until golden brown. 7. Add the white wine to the skillet to de-glaze the pan. Be sure to scrape up all the brown bits. 8. Add the shallot to the pan and cook for a few minutes until the wine reduces by half. 9. 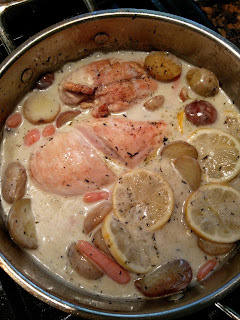 Add the lemon juice, chicken stock, and 2 tablespoons of butter and chopped garlic to the pan and cook until reduced by half. 10. 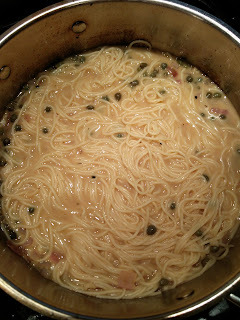 Finally add the capers and cook for 1 to 2 minutes to warm the capers. 11. 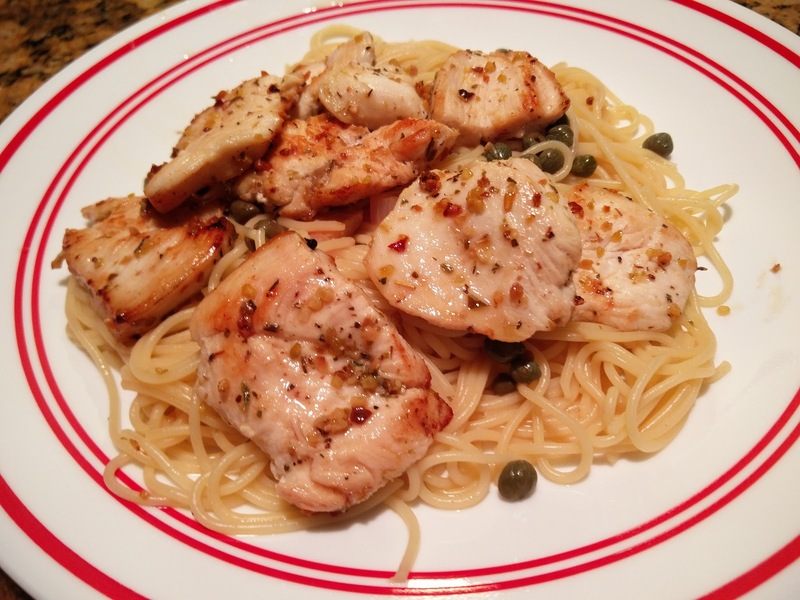 Put the pasta and chicken into the sauce, and then serve! 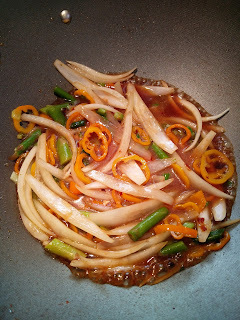 This dish is easy, and the sauce is perfect and light with a lot of lemon flavor. 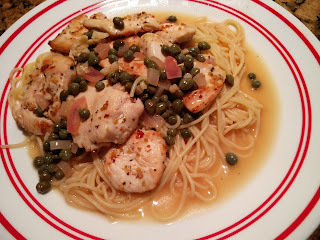 Kaspian loves the pasta and capers. He does not like the meat or the sauce. 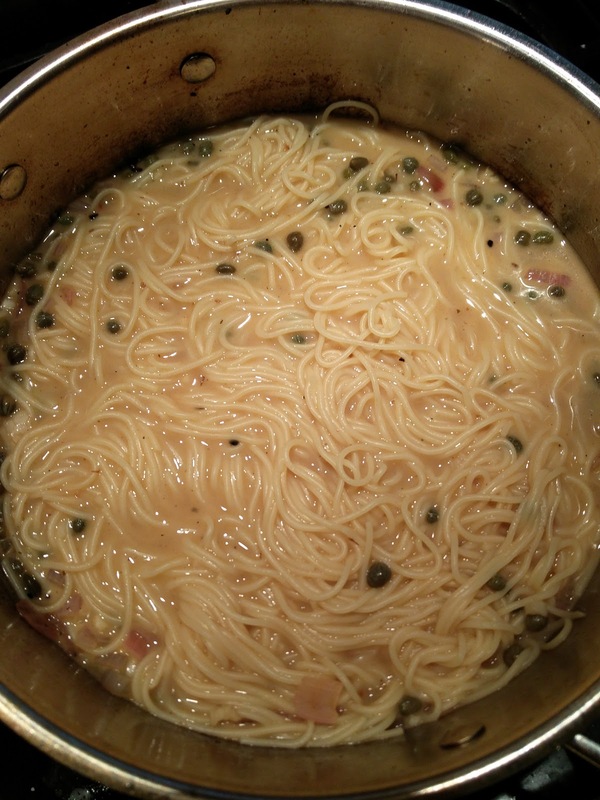 We usually reserve some un-sauced pasta for him and sprinkle it with capers. When he was smaller, he thought the capers were peas. You know those "Lofthouse" brand cookies you buy at the store? Those that are super soft and sweet and good? With the sprinkles?! We made them. And they were SOOO good! 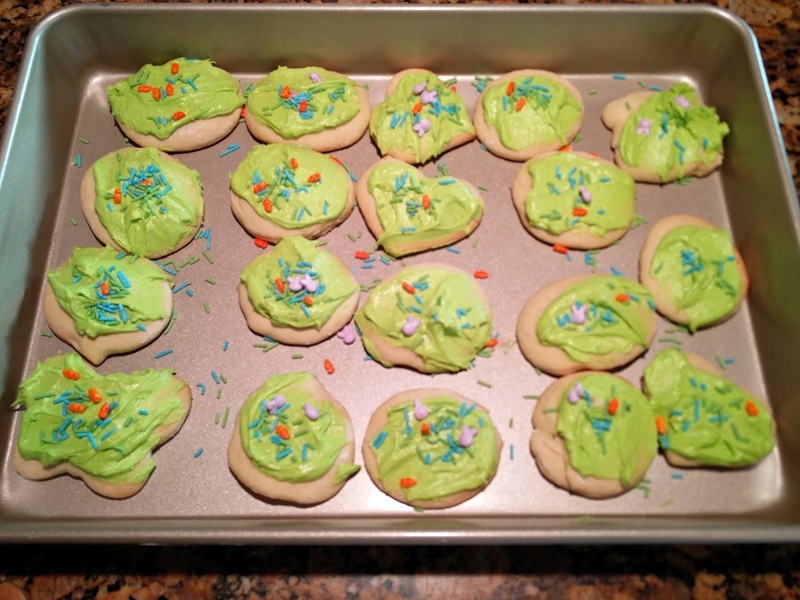 This recipe made a ton of cookies, though we needed to double the frosting for all the cookies. The dough is EXTREMELY sticky. This is the second time we made them. The first time, we had all the ingredients and the dough was less sticky. 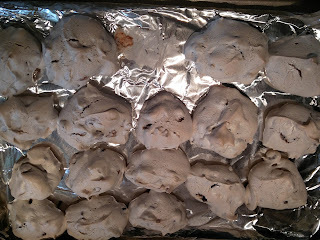 This time, we did not have the cream cheese (Alona forgot to read the ingredients before making the cookies) and we just ended up making them with sour cream. Making them with just sour cream actually turned out better, after we got past the super frustrating part of adding a LOT more flour to make the dough the correct consistency. 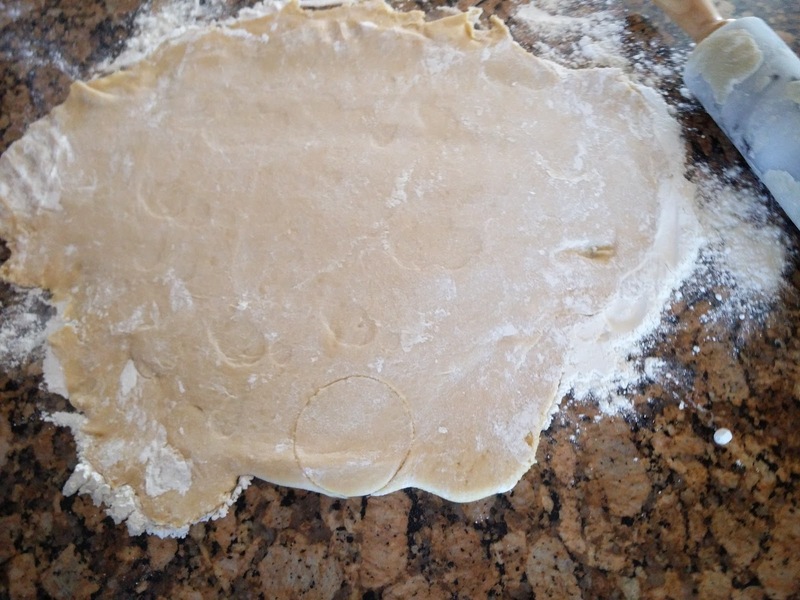 The dough was so sticky with the initial proportions that it was impossible to roll it out, much less cut out shapes. Even with refrigerating and attempting to freeze them. 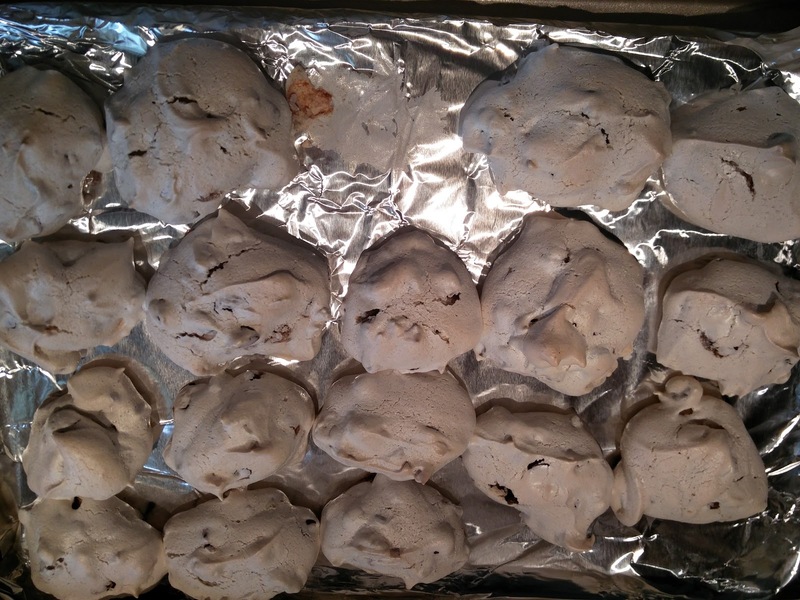 Using parchment paper and making sure these don't over cook is very important to maintaining their softness. Kaspian loves the cookies and cutting out shapes. And he loves the color green. And he always gets to pick the frosting color. So, our cookies, are usually frosted green. We had to make a second batch though, so blue was acceptable as a secondary color. 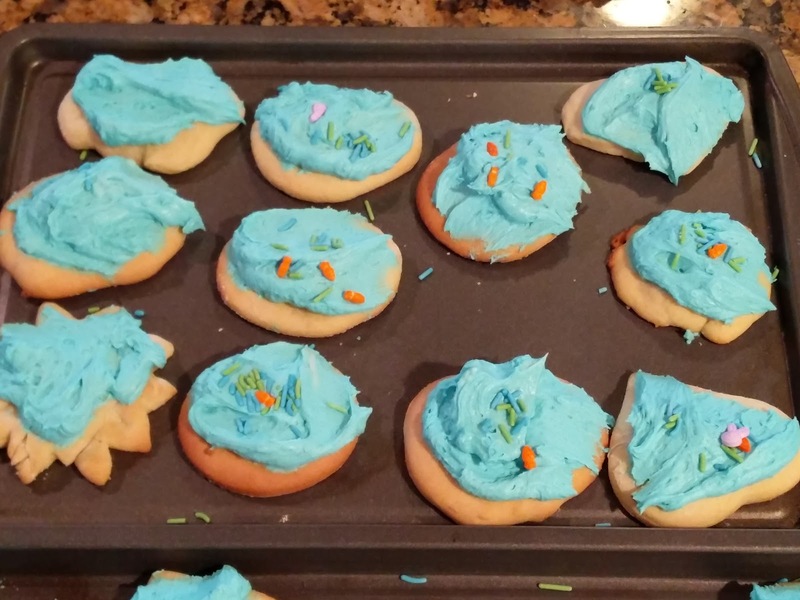 Also, these are the only sugar cookies that Nick actually likes. Kaspian and Alona get to have fun cutting out cookie shapes, and Nick actually gets to enjoy the taste, so everyone wins with these! 1. In a large bowl, whisk together the flour, baking soda, baking powder, and salt. Set aside. 2. In the bowl of your stand mixer, with paddle attachment fixed, cream together the sugar and butter. 3. One at a time, crack each egg separately into the bowl. Mix to combine. 4. Once incorporated, add the vanilla extract and sour cream. Beat again to combine until all of the ingredients come together. 5. 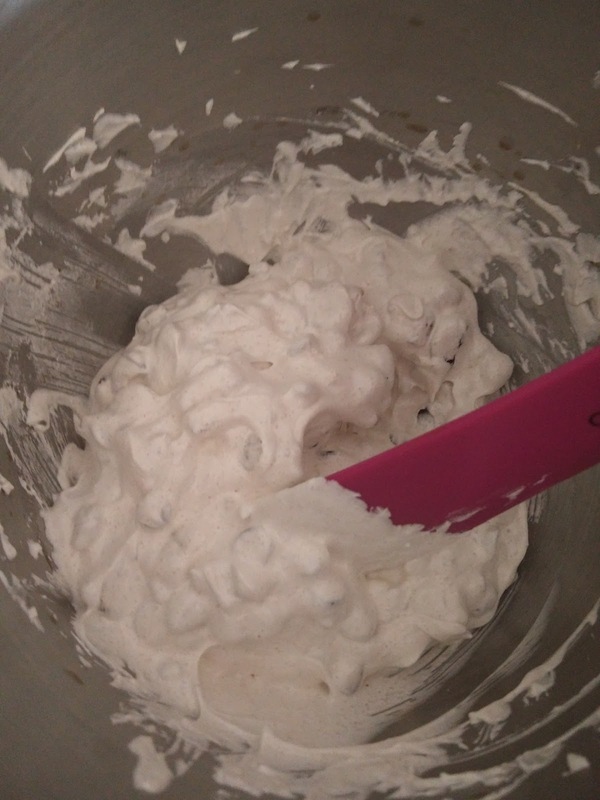 In 1/2 cup increments add the dry ingredients into the wet until you have added it all. 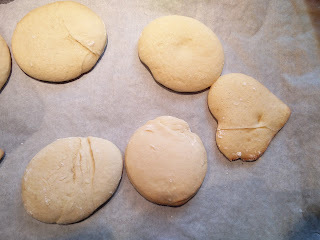 Mix until everything comes together and a soft dough forms. It should be sticky, but slightly firm. 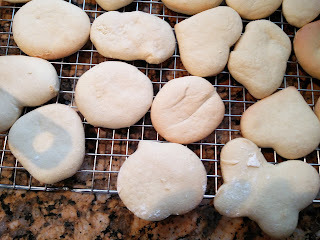 If it''s too "runny" add a tablespoon more of flour at a time until you get this consistency. 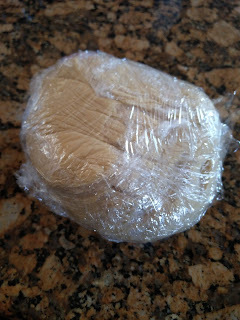 Dump the dough onto a sheet of plastic wrap and cover. Refrigerate for at least 4 hours or overnight. 6. 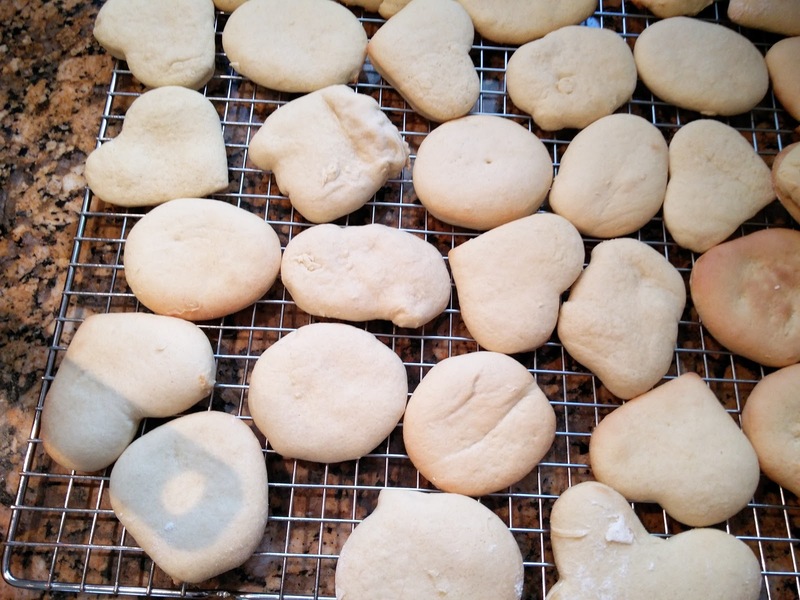 Once your dough has chilled, preheat your oven to 425 degrees F and line 2 large baking sheets with parchment. Set aside. 7. SUPER Generously flour a work surface, unwrap your dough and place onto the floured surface. Dust the top of the dough with more flour. Taking a rolling pin, roll the dough out to about 1/4 of an inch thick. Cut shapes out of your dough with a cookie cutter. Once you have cut as many shapes as possible, place the shapes onto your prepared baking sheets. 8. Bake at 425 degrees F for 6-7 minutes until they begin to brown slightly around the edges and feel slightly firm to the touch. Remove from oven and immediately transfer to a wire rack to cool COMPLETELY. 9. While your cookies are cooling, prepare you buttercream frosting. In the bowl of your stand mixer, with paddle attachment fixed, cream the butter until soft and fluffy, about 1 minute. Add the vanilla extract and mix again to combine. In 1/2 cup increments, while the mixer is on it's lowest speed, add the confectioner's sugar until it is all incorporated. Increase the speed to medium and beat for about 30 seconds until fluffy. Add in the heavy cream and beat again for about 2 minutes until light and fluffy once again. 10. Once cool, frost the cookies with the buttercream frosting. Sprinkle with sprinkles (if desired). Once the buttercream has set, transfer to an airtight container where the cookies will keep for about a week. Nick doesn't like sprinkles. He's lame and does not enjoy fun. HE LOVES COOKIES. 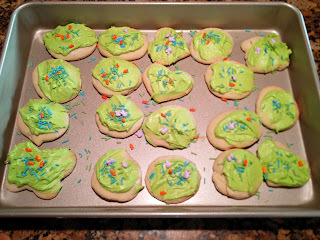 Kaspian says eat them with sprinkles, without sprinkles, or with frosting or without and he loves green. No changes. Keep in mind to add more flour at the beginning. We love tuna. Sushi tuna, fresh tuna, canned tuna. Yum! 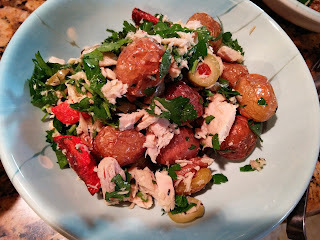 This recipe looked very different from all other tuna salads we've had as those are usually very creamy and mayo loaded. This recipe is very light and very good. It was refreshing. The carrots, surprisingly, provided a sweet flavor to the dish. The potatoes, we chose baby potatoes, were perfectly roasted and as always - so very good with rosemary. The rosemary bush we planted last fall (attempt #6 at a live rosemary bush) made it through winter and looks like it will survive and grant us wonderful rosemary for our recipes! 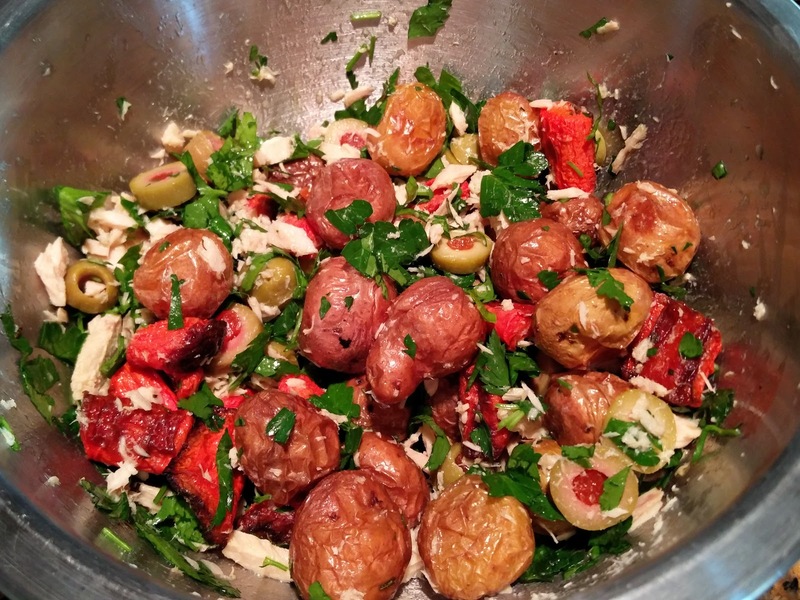 Also, olives can be overpowering in recipes sometimes, but for this one they were perfect. We did use a little more parsley though. The only thing that this recipe might benefit from is perhaps a very very light vinaigrette, maybe just an olive oil and salt drizzle. 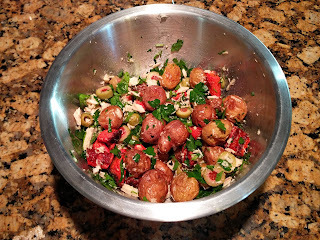 This recipe comes from the most recent edition of the Costco Kirkland Magazine. I am unable to find a link for it online. 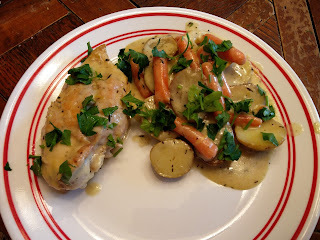 Note: we cooked the potatoes and carrots for 45 minutes, then turned the oven off and left the veggies in there to keep warm until we were ready to mix it in with the rest of the salad. This worked out wonderfully. All mixed in the serving dish! 3. Midway through cooking add rosemary and stir to distribute. 4. Remove from oven and stir in tuna and olives. Toss with parsley if desired. Very easy and good and warm. It was a very different style of tuna salad. It was light and surprisingly tasty. Might try experimenting with a very light oil vinaigrette.